This week I had the pleasure of joining Brian Lehrer on his television show to talk about the uprisings in Baltimore and the path forward. The other panel guest, James Meyerson, is a Civil Rights attorney who has called for a new Kerner Commission. Check out the segment, it’s about 10 minutes long, as well as the rest of the show. FYI- I have been writing a couple of things on Baltimore but hadn’t decided where to share them. I’m hoping to share them with y’all very soon. 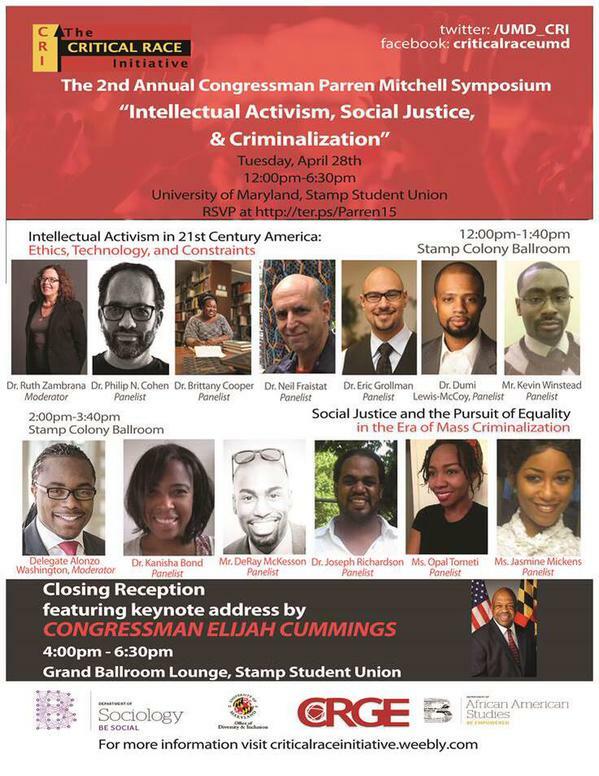 Tomorrow, Tuesday April 28th, I am honored to join a cadre of talented thinkers and activists at the second annual Congressman Parren Mitchell Symposium, “Intellectual Activism, Social Justice, and Criminalization” at the University of Maryland-College Park. The day will be full of conversation with folks who are advancing social justice on the ground, in academia and in legislative halls. The symposium is free and open to the public, please RSVP here. Come out and spread the word! Next Friday, May 1st, I will be presenting on research that I have been conducting with Brittany N. Fox (Columbia University) on demographic changes in Upper Manhattan (bka Uptown). 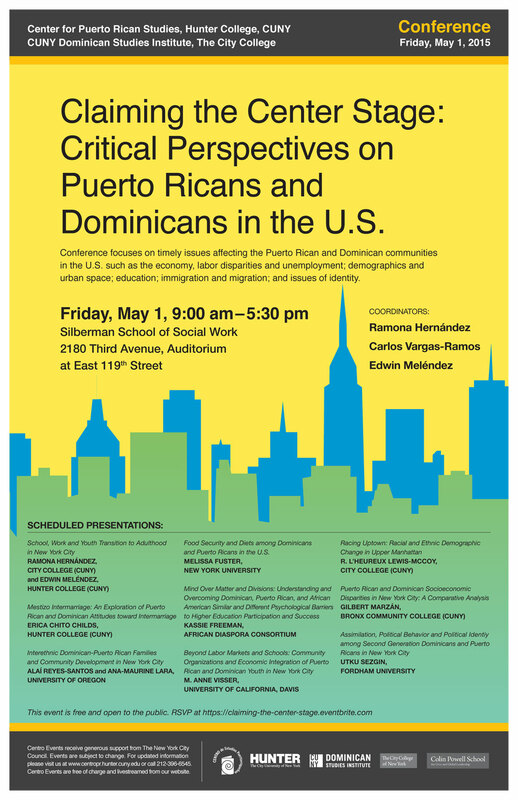 The gathering, and part of our research, is the product of a collaboration between the CUNY Dominican Studies Institute and Hunter’s Center for Puerto Rican Studies. There will be a host of scholars and community members present to discuss what is happening in New York City around lines of race, ethnicity, class and change. The conference is free and open to the public, but you should register at this eventbrite link. I am thrilled and humbled that I was selected as the Amsterdam News Black New Yorker in their latest edition. The article, written by Demetria Irwin, provides a nice look inside my life, not just what I do in the classroom or as a scholar. Check it out and remember to support Black news media, heck media of color or any media with a truly critical voice!! Demetria Irwin | 4/16/2015, 9:39 a.m.
Dr. R. L’Heureux Lewis-McCoy’s daughter was born with activist blood in her veins. The precious baby girl was born to Lewis-McCoy and his wife the day a grand jury voted not to indict Darren Wilson, the police officer who shot and killed Michael Brown in Ferguson, Mo. “My wife and I are very active when it comes to getting out into the community. But when she was six months pregnant and it was 90 degrees outside, we couldn’t do our usual passing out flyers at a parade. Now with a baby with us, we are still active, but we figure out different ways to contribute as a family,” said Lewis-McCoy. The Connecticut native utilizes numerous avenues to fight for causes he believes in. One avenue is the classroom. 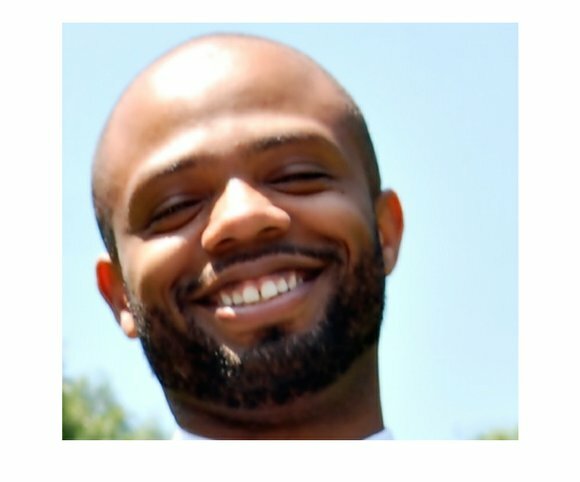 Lewis-McCoy is an associate professor of sociology and Black studies at the City College of New York-CUNY. The recent conviction of 11 Atlanta Public School employees has stirred conversations about corruption, cheating and education’s future. In this opinion-editorial piece for Ebony.com I weigh in on why I think the wrong people have ended up in handcuffs. As news that 11 educators from Atlanta Public Schools were convicted of racketeering charges made national headlines last week, cheers of “justice served” quickly rang out. That is far from the truth of the matter. Let me be clear, 11 employees of APS were found guilty of the terrible act of cheating, but they are not the ones who should be behind bars. Who should be there? The people who have stolen our children’s education since the early 2000s with a brand of high-stakes testing that breeds competition rather than collaboration and offers achievement gap mania rather than offering assistance to schools and students with the greatest needs. These thieves of public education are the bigger problem than 11 educators in Atlanta. The more seriously I consider the things that are affecting our communities, the more an intersectional framework matters to how I think about its roots and possible responses. Many moons ago, Jelani Cobb wrote (and I paraphrase) that Black folks are no more or no less unified or dysfunctional than any other group of folks on this earth. I believed it when it he wrote it and believe it now. The catch is we can, like all people, become seduced by reductionist thinking. Whether its at a mass march where we start chanting and yelling, “hands up! don’t shoot!” in the face of an unrepentant police force or double clicking a meme on Instagram that suggesting our brothers and sisters are being distracted by the hot topic rather than thinking through politics–quick responses are valued, but they’re not what’s needed. Instead, I see folks like Imani Perry, Tamara Nopper, and Eddie Glaude raise questions (they’re on social media twitter – you should follow them) that make you think about what you intend to accomplish? What are the means? What are likely to the ends? Their questions make people uncomfortable and rightfully so. Too much emphasis on unity of action without complexity of thought is why moments that could be movements often just remain flashpoints (well that and COINTELPRO ain’t too shabby at killing stuff). For more than 4 months there has been an emerging national dialogue about police violence–one that people have been working on having for years, but this moment was the time that it ripened and expanded. In this moment we have to do things that keep people engaged, but even more so, we’ve got to ask–Why are you here? If you believe Black lives matter, who does not? Which Black lives matter? Does the trans sister in Chicago who is sexually assaulted by a member of her family get covered? Does the conservative brother who stands with NYPD receive your cover? If the government fails to respond to what we demand, what will we do? Are we really demanding the same thing? Are you talking reform or revolution? Which type of revolution are you talking? These may seem to show where we disagree but only by grappling with them will we have a unity worth fighting for, claiming and living with. There isn’t enough ink to express our pain. Day after day, month after month, year after year, the pain of being Black in America globally is apparent. 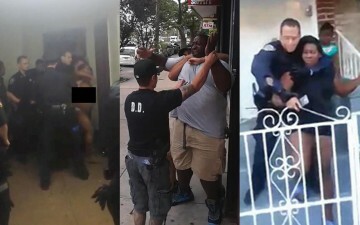 Moments ago I read the headlines and tweets that told me the NYPD officer Dan Pantaleo (say his name until it can’t be forgotten, until he’s held responsible) the NYC cop that killed Eric Garner would not be indicted. 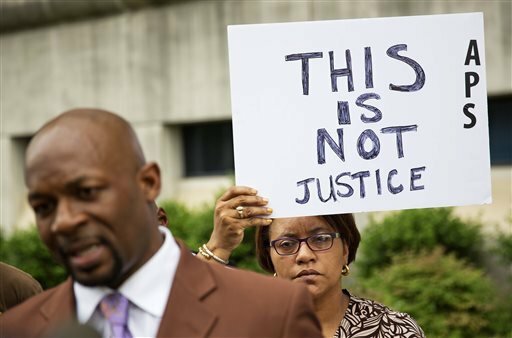 A week and two days before that I heard news out of Ferguson, Missouri that Darren Wilson would not be indicted. That same day hours before, I watched my beautiful daughter be born into this world. Being Black is like that, valley, peak, valley—in that order. No matter who it is, the time comes that you realize that being Black is hard and beautiful. You come to learn that your cool, your clothes, your rhythm is quested after like a golden fleece, and then you remember that you’re hated all the same for it. Hated for the thing you inherently possess and ultimately cannot dispossess—trust me, many are trying to give it up, but you can’t. 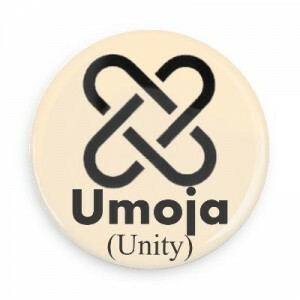 Many are trying to recreate/generate it, but it has to be organic—we synthesize, it can’t be synthesized. I recently got in an online disagreement with a family member. I gave up arguing online about 2 years ago and my life has been all the better for it, but this time suffering from sleep deprivation courtesy of our bundle of joy, I engaged. My cousin, one of closest loved ones on the planet, posted a status about shopping on Black Friday and tongue-in-cheek told folks to “say something” about her shopping. I was frustrated at her at life. I remember when I first heard the calls to boycott Black Friday #notonedime, I knew that arm chair theoreticians and activists would sharpen their darts aiming at the hot air balloon of social activism. I knew it’d be a dog pile of, “How is that supposed to help?”, “We need new solutions!”, “What difference will it make?” –you know the standard chorus of consternation. I’d decided that for each post that someone put up like that I’d ignore it and write them off as disaffected, short-sighted haters (which they often are). But truthfully I understand them. I’ve been them. It’s kind of like being at a dance and not really knowing how to dance so rather than stepping out and risk being a fool, you talk about the DJ, you chit chat with your boys, you explain how you don’t like the newest fads … all the while the dance goes on, everyone else is sweating it out and having a good time, and you go home realizing you missed out, but never admitting it. It’s easy to be on the sidelines, it’s hard to put your shoes on the dance floor. Moral and ethical courage are sometimes in short supply, but we have enough to move ahead, we never needed 100 percent to be on board, just a few committed ones. A few years ago an elder told me, “If everyone who claimed to have marched across that bridge [Edmund Pettus Bridge] was on that bridge the damn bridge would have fallen in!” They’ll come around later … or come around for the victory party. When Fidel Castro was asked about what he’d do differently regarding the Cuban Revolution he said he started with 82 men but he would have started with fewer men but ones who had absolute faith. That’s real rap! 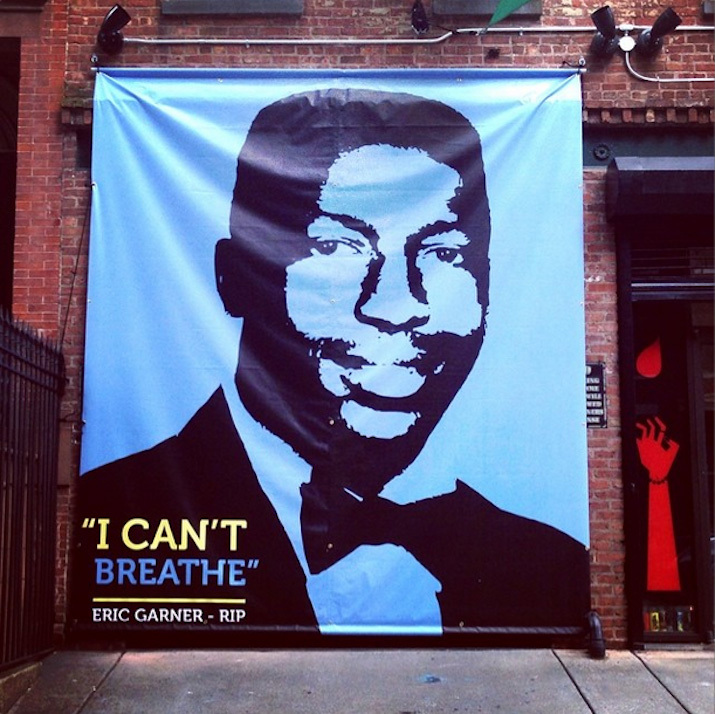 Boycotting Black Friday or Cyber Monday may not be your cup of tea, but neither is the loss of Black life. I am in awe of the young people organizing out of Ferguson and the people who have poured into that community for the past 118 days. The boycotts on Friday or Monday were mass actions that allowed folks without much skin in the game to make a sacrifice, to symbolically and strategically show impact. It worked, no matter what mainstream media says. I’m still not really cool with my cousin for not participating, but she’s not alone. It just means we need to do more work to show folks why we matter, why boycotts matter, why protests matter, why Black lives matter. Are the Koch Brother Brainwashing America’s Students?